We are pleased to offer the following equipment from our used and reconditioned stock. We are always pleased to examine any organ blowing or humidification equipment made redundant for whatever reason, with a view to its dismantling and removal. 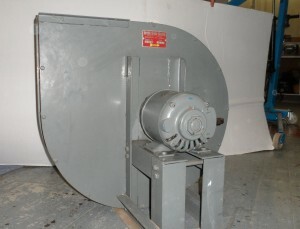 We are always interested in purchasing DISCUS organ blowing equipment in good condition. All prices shown on this page are ex works and exclude VAT. The flagship of the DISCUS standard blower range. 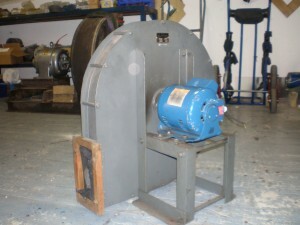 This unit, manufactured in the 1980′s is capable of delivering 2000 cfm. It is belt driven allowing it to be taylored to individual requirements. This drive arrangement means that it can easily be supplied powered by either a single, or, three phase motor. We also have in stock one earlier (1960′s) example undergoing refurbishment. We often have a selection of machines yet to be inspected by our engineers. If you don”t see what you wan’t above, give us a call, it’s possible we may still be able to help you.